Moving a home is always an exciting time yet it can also be a very stressful. However, Moving Service is a removal firm in Colney Hatch, N11 that makes it a less stressful experience for you. The first way we do that is by giving you a lower price. When you immediately know that you have less to pay, you'll find it makes things a little bit easier and everything else less stressful. Yet, it is not only lower prices we offer, but we also give you a better service than other removal companies do. This isn't a claim we make lightly because we know there are lots of removal firms out there and we strive to be the best. One way we do this is by having excellent transport with fully equipped removal vans and trucks. Perhaps, the secret of our success is that we make sure we have the very best in staff and this includes having removal men who are fully trained as well as being fully vetted. You'll find the build - up to your moving day goes very fast and because this is the case, it can be even more stressful. It helps so much when you know you can give us a call at any time on 020 8746 4402 and we'll do everything we can to help you in every way. Originally the name of a hamlet in the 15th century Colney Hatch is now the name given to an area towards the northern part of Colney Hatch Lane. Friern Barnet is just to the north of the area, Muswell Hill is to the south, East Finchley is to the east and Bounds Green is to the west. The North Circular Road cuts across its southern half while Friern Barnet Road is in its northern part. Friern Barnet, in fact, was the original name of the parish that the area was part of. It is mostly a residential area with both Edwardian and Victorian buildings in addition to more modern developments. A large green space within N11 and N10 areas is Coppett's Wood and Scrublands, itself part of Glebelands Local Nature Reserve. The nearest tube station to the area is Arnos Grove which is on the Picadilly Line. New Southgate Railway Station is also quite near to both Friern Barnet Road and Colney Hatch Lane. 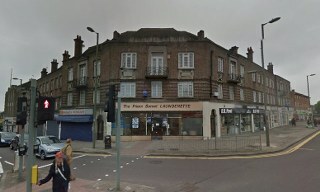 Shopping facilities in the N11 area include Friern Bridge Retail Park. In addition to transporting your goods safe and sound to your new address, we have a number of removal services that are designed to make your life easier when you're moving a house in Colney Hatch, N11. For instance, we have great packaging supplies and if you so wish, we can help you out with packing due to our fantastically priced packing and unpacking services. It's also a delight to call us up at any time because our customer service is helpful, polite and friendly. In every way, you'll have a removal firm dedicated to making your house removals an easier experience and in doing so, make it a less stressful experience. Whether you're travelling to or from Colney Hatch or whether you're travelling locally, within the UK or overseas, we are a removal firm which has the resources to make it a better experience for you. Why not call us now on 020 8746 4402 and we will answer any questions you have and also give you a free quote. We are the removals company around N10 area you've been looking for. Likewise, we want to be the moving firm that makes sure your home move is pleasure and not an ordeal. Make Moving Service your moving company in Colney Hatch and you can make your moving day a wonderful day.